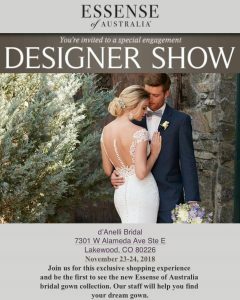 d'Anelli Bridal > Trunk Shows > Black Friday & Small Business Saturday DESIGNER SHOW and MORE! Black Friday & Small Business Saturday DESIGNER SHOW and MORE! 10% off all weekend long! We are very excited to announce that we are having an Essense of Australia Designer Show! The NEW collection! 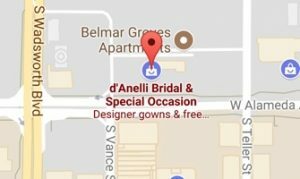 Remember to schedule an appointment ASAP, our Designer Shows book fast! We will also have in store discounts for sample sale dresses, veils, accessories and more! You do not want to miss out on this weekend! Schedule ASAP! *10% off discount for special orders only.